All three of Apple’s productivity apps just came out of beta on iCloud.com, and Apple’s also updated all of them for both iOS 9 and OS X El Capitan. There’s a host of improvements and fixes both large and small for each app on each platform. All the full specifications are over at Apple’s productivity suite landing page, but here are ten of the best improvements for this long-running, venerable suite of word processing, presentation, and spreadsheet apps from our favorite Cupertino-based company. Multitasking on iPad – Pages, Numbers and Keynote now all support Slide Over, Split View and Picture in Picture multitasking on iPad Air 2, iPad mini 4, and the upcoming iPad Pro. 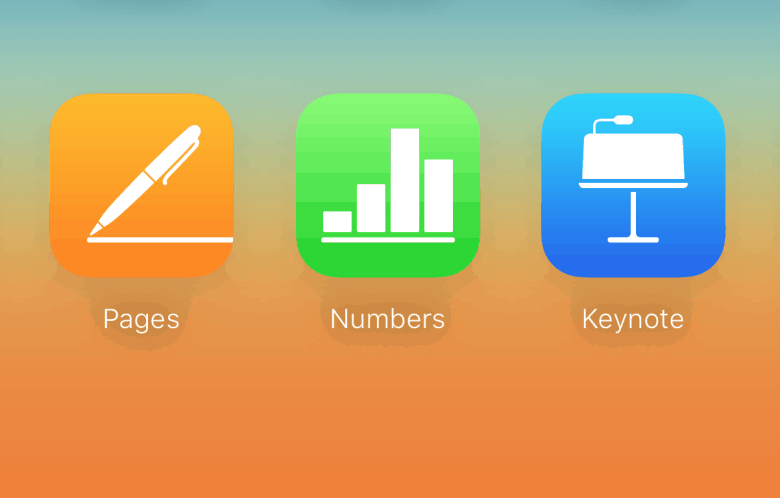 Keyboard improvements – The iWork apps can now also take advantage of the new shortcut bar in iOS 9 as well as shortcuts on wireless keyboards, letting you cut, paste, and copy with the best of them. 3D Touch controls – You’ll be able to peek and pop all over the place in the new updated apps on your iPhone 6s and 6s Plus, as Apple added support for pressure-sensitive 3D controls for the mobile versions of iWork. Open archives – You’ll also now be able to open iWork ’08 and even ’06 documents to edit those super old Pages files you have, and you can preview shared documents via the Web browser. Compatibility with Microsoft Office apps is also better now. VoiceOver – Now you’ll have even more ways to navigate Pages, Keynote and Numbers, with new VoiceOver commands for both the iOS 9 and El Capitan versions of the apps. In Pages, for example, you’ll be able to have VoiceOver read text-formatting details, add and review comments, and track changes all with your voice. Getting your Pages docs from here to there is even easier now. 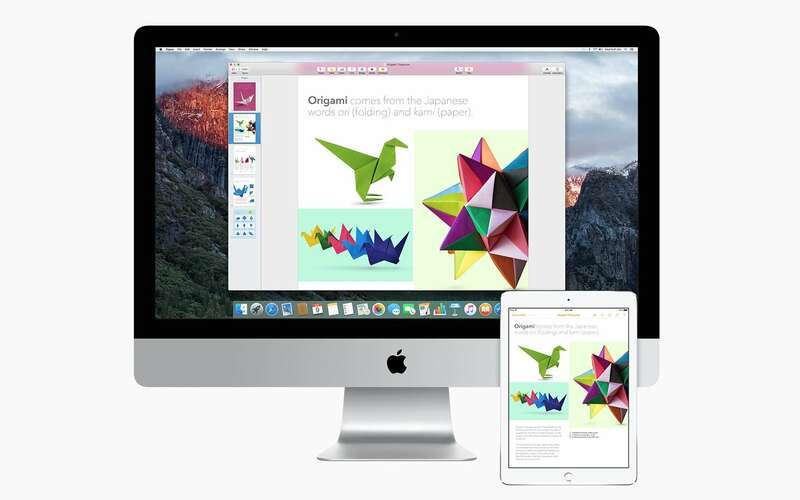 Split View – All three iWork apps are now supported with Apple’s new Mac-based double screen feature, Split View. Force Touch – Now you can use Force Touch in Pages, Keynote or Numbers as long as you have a newer Macbook or iMac with a Force Touch trackpad. Sharing is caring – All the iWork apps now have a “View only” setting, which lets you share documents with others without giving them access to make changes. There’s also a new way to share password-protected documents directly with an iCloud link. Handoff – For the first time, you can now use Handoff to seamlessly switch between iPad, Mac, and iPhone when working on a Pages, Numbers or Keynote document. Updated file format – If you’ve tried to send a .pages or .key file to someone via Gmail or Dropbox, you know what a disaster that can be. A new updated file format for all iWork apps will make it easier to send documents via these types of services – a plus in our modern, connected, platform-agnostic world. You can grab the updates for free on iOS 9 and OS X via the iOS or Mac App Stores if you already own a copy, or you can buy one for $9.99 each for iOS and $19.99 each on OS X.